The Book of Burtoniana, in Four Volumes, edited by Gavan Tredoux. Lady Jane Digby to Isabel Burton. 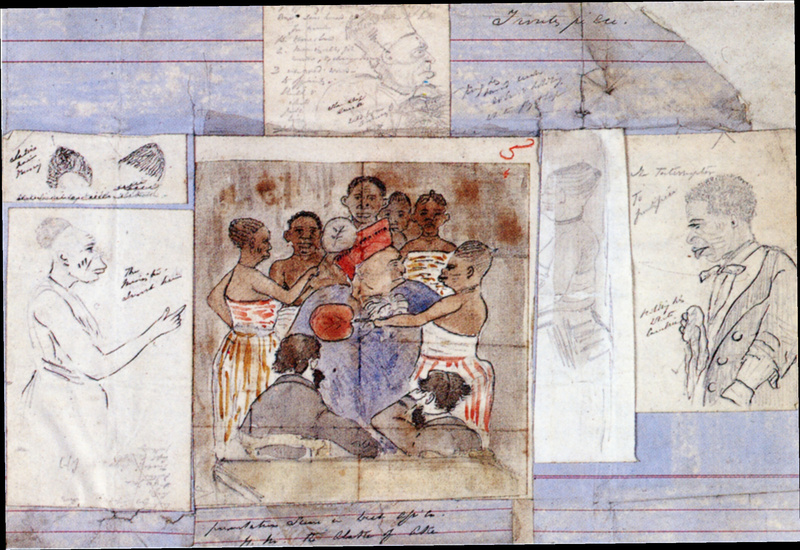 Abeokutan scene sketched by Burton. Letters and Memoirs of Sir Richard Francis Burton. First edition. Published in four volumes by burtoniana.org, 2016. Volume 4: Chronology, Register and Bibliography. The first comprehensive collection of correspondence by Sir Richard Francis Burton, together with reminiscences by his contemporaries, arranged together in chronological order, making up roughly 800 items. Detailed annotations throughout clarify references. A Register provides biographical information about the principal players, while a detailed Chronology provides an overview of Burton's career. Many rare illustrations and plates are included. The book is available in the following electronic file formats. Correspondents include John Hanning Speke, Christopher Palmer Rigby, Isabel Burton, Monckton Milnes (Lord Houghton), General Charles 'Chinese' Gordon, Henry Anthony Murray, Sir George Back, Charles Montagu Doughty, John Payne, Leonard Smithers, Joseph Netterville Burton, Captain Walter Scott, Algernon Swinburne, Dante Gabriel Rossetti, William Henry Wylde, Frank Wilson, Ouida, Lynn Linton, Dr. Norton Shaw, Albert Tootal, William Robertson Smith, Colonel John Studholme Hodgson, Frederick Hankey, Gerald Massey, Henry Walter Bates, Henry Morton Stanley, General William Beatson, Alexander Wheelock Thayer, Verney Lovett Cameron, Arthur Orton, Francis Galton and many others. 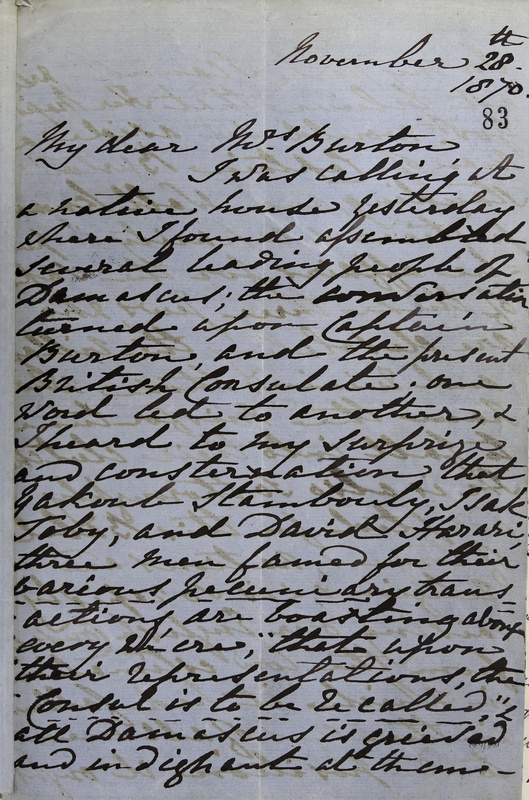 The scope of the collection extends beyond letters directly to and from Burton himself, to include important correspondence mentioning Burton.